Best Japan food in Sapporo. I love Japan food. Look no further for all the best places to eat them. Sapporo has the best food, including the freshest sushi. There are also many 'Made in Hokkaido' foods to be found in the city, such as soup curry, ramen, crab and jingisukan (barbecued lamb). Of course when you come to Japan you must eat sushi. Hokkaido has the freshest in all of Japan, but where are the best sushi bars? Hanamraru is my favourite Sapporo sushi restaurant. It is a conveyor belt style restaurant, so you can take what you want as it passes, or you can shout out orders if you don't see anything you want. You can even practice your japanese writing as there is also an order sheet that you can fill in. Another great sushi bar is Topi in Otaru, a short train ride from Sapporo. 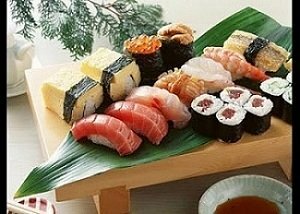 Here you will find the freshest and most delicious sushi at great prices. This is one of those 'Made in Hokkaido' foods and before I came to Japan I had never heard of it. It looks more like curry soup but try to clear your mind of your image of curry back home as this is so unique you'll never have tasted anything like it. 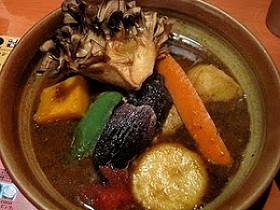 Every soup curry restaurant is different with their own special soup and spices. My favourite being Voyage. Another 'Made in Hokkaido food' and there are literally hundreds of these Ramen shops scattered around the city. 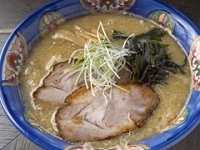 Miso flavour ramen was born in Hokkaido so should be high on the "Japan food I must eat" list. Again a famous Hokkaido food. For all you meat lovers out there. Lamb and mutton barbecued with vegetables on a grill accompanied by beer. You must experience this at Sapporo Beer Garden A great atmosphere but beware you will smell of meat for the rest of the day! 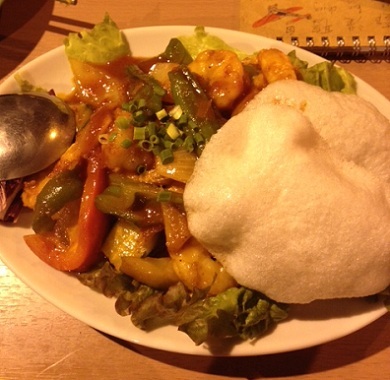 Jin Jin located between Odori and Susukino is a good alternative. One of my favourite jingiskan restaurants in the city, which is also located downtown and has a very high grade of meat is Hokkaido Beer Garden. 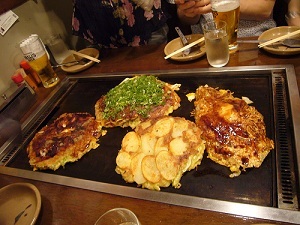 Okonomiyaki is a Japanese style pancake that looks like an omelette and contains flour, eggs, pork, prawns and a choice from a variety of other ingredients topped with mayonnaise, dried fish flakes, seaweed and okonomiyaki sauce (like Worcester sauce but thicker and sweeter).....doesn't sound great does it? But this combination is surprisingly delicious. It's also fun to experience this Japan food as you get to make and cook it yourself at the table. Alright, not exactly Japan food but Kopitiam Singapore restaurant is a regular favourite among the locals. One of my friends introduced me to it back in 2008. Another friend recently mentioned to me that she went there and it was her favourite restaurant in Sapporo Japan. This prompted me to re-visit. I took my friend there and when we were approaching the restaurant she said that she had been there before and it was one of her favourite restaurants too, so that’s now three of my friends who gave Kopitiam two, big thumbs up. Always trust the locals. Eat Hokkaido crab and freshfish at Nanda seafood buffet restaurant in Susukino. The price is 3,480 yen per person for adults and 1,980 yen for children for 90 minutes all you can eat, with unlimited soft drinks included. You can also add unlimited alcohol for an extra 1,000 yen. Another really good buffet is the Daimaru Buffet. They have everything here from soba to ramen to soup curry to sushi to pasta to pizza to Chinese food to tempura to ………… the list goes on and on. Admittedly the food isn’t as great as it would be if you went to a specialized restaurant, but is it ever at buffets? And there is a great view of the city. 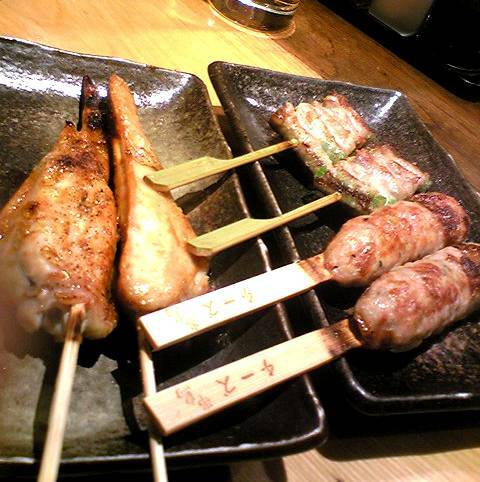 Yakitori is an awesome Japan food which is grilled stuff on a stick, but literally means "grilled chicken". 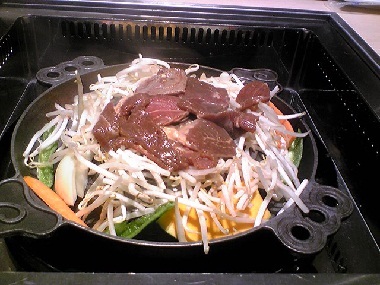 This type of food is also found in local festivals and there are loads of yakitori restaurants in Sapporo Japan. 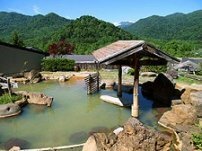 One of the most popular places and also one my favourites is the chain Kushidori. 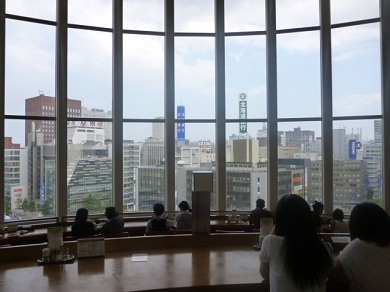 No matter what branch you go to, it’s always guaranteed to be busy, lively and energetic. Great value for money and beer for less than 400 yen a pop! Another excellent yakitori restaurant is Fujitori It's not as loud or crazy as Kushidori but I think the food is much better and therefore a little more expensive. A nice place to take a date.